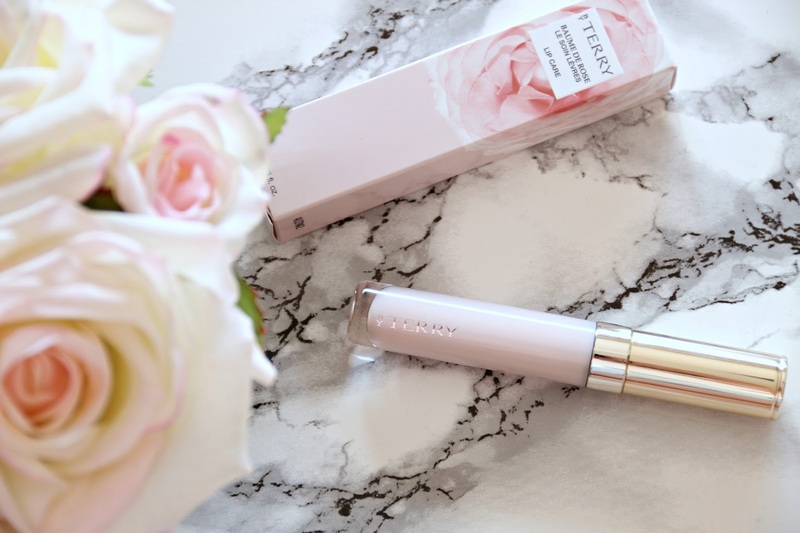 I’m going to go out on a limb now ladies and say that I’m pretty sure you’ll have all heard of the iconic By Terry Baume de Rose Lip Care balm and if you haven’t then you seriously need to get to know about this miracle worker! The Baume de Rose lip balm has had a cult following for YEARS now thanks to its healing properties and ability to make the lips softer than soft. 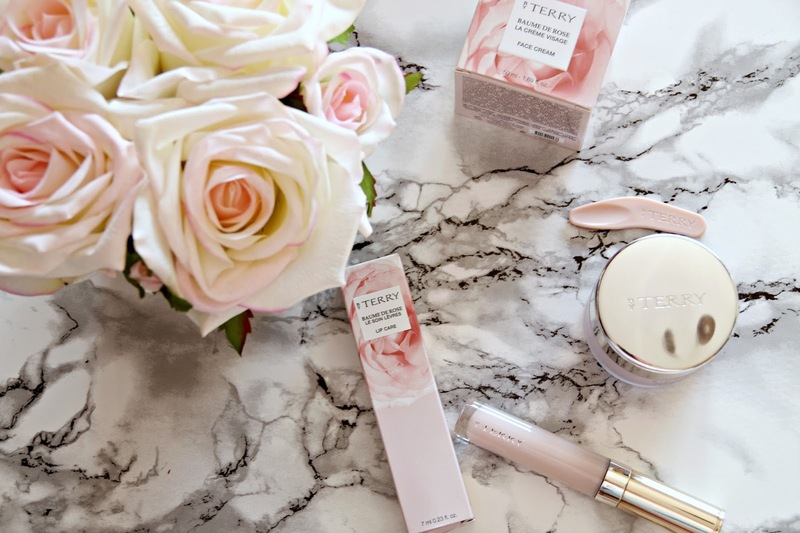 Now By Terry have brought the Baume de Rose power of intense hydration and dazzling radiance to a new skincare range that has recently launched. Perhaps a move that was guaranteed to be a hit after Terry de Gunzburg saw great success with tinted versions of the original Baume de Rose and fans were crying out for more, myself included. 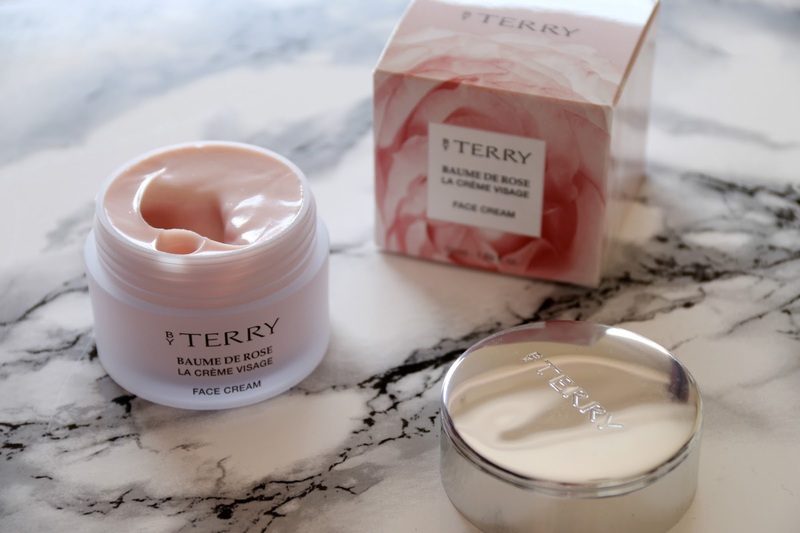 I have been trying out two products from the line; firstly, the By Terry Baume de Rose Crystalline which I believe has been available for quite a while now and secondly the face cream. Lets start with what has been keeping my lips soft and kissable over the last month. 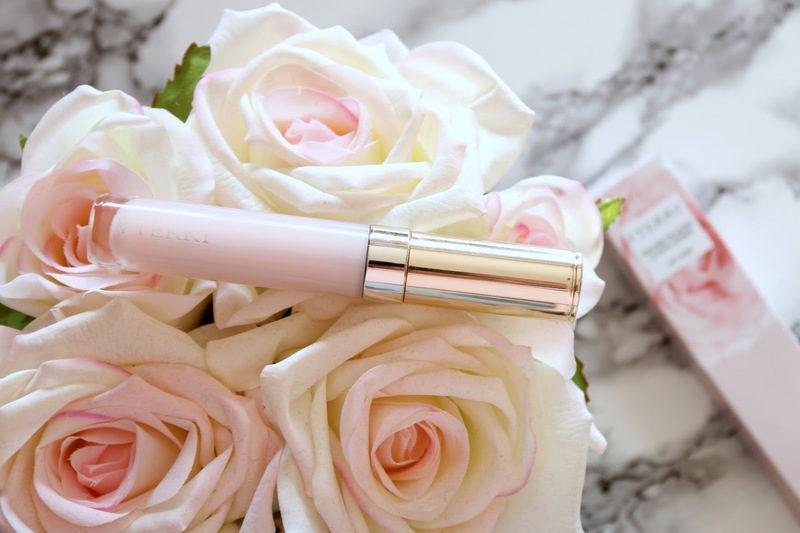 Essentially, the By Terry Baume de Rose Crystalline is the original lip balm that we know and love but in a tube and wand format rather than a pot. I much prefer this as I hate having to try to navigate my finger into a little pot when my nails are long. If you’re looking for a balm thats going to be intensely hydrating and softening then you’ve come to the right place as this gem contains lipid-boosting and nourishing actives that help to repair, rejuvenate and protect the lips. This isn’t one of those barely there products; you can really feel the extremely rich rose wax formula as you smooth it onto your lips and when you massage them together, your lips feel softer in seconds. Not only that but it is packed full of nourishing botanical oils to boost cell renewal, Shea butter to hydrate the lips and Vitamin E to fight against skin ageing. The lips often show signs of age and stress as they can lose their fullness and develop fine, crepe like lines. 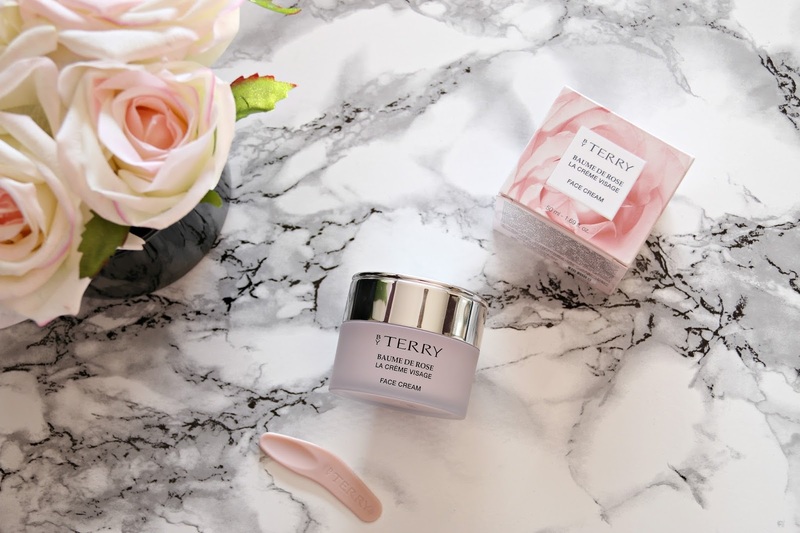 Baume de Rose Crystalline even contains By Terry’s exclusive Hydroskin Complex which heals and supplies strength, nutrition and comfort to the lips. It is like lip care SOS in a tube as while it is perfect for using everyday like I do, if you’re ever feeling like your lips are dry or if they’re cracking, apply some of this and it literally works magic overnight. Whether you’re wearing this balm for its preparing, nourishing and regenerating properties or simply because you prefer a lip balm over other types of lip products, I think you’ll love the way that it makes your lips look and feel. With an incredibly addictive yet not overbearing rose fragrance and an ultra rich formula, it feels luxurious to apply and really laughs in the face of other lip balms. It doesn’t feel sticky on the lips at all yet it stays in place for hours and hours, deeply nourishing the lips as the hours tick by! Plus, it is also available in a mini size which is perfect for travel, so what’s not to love? 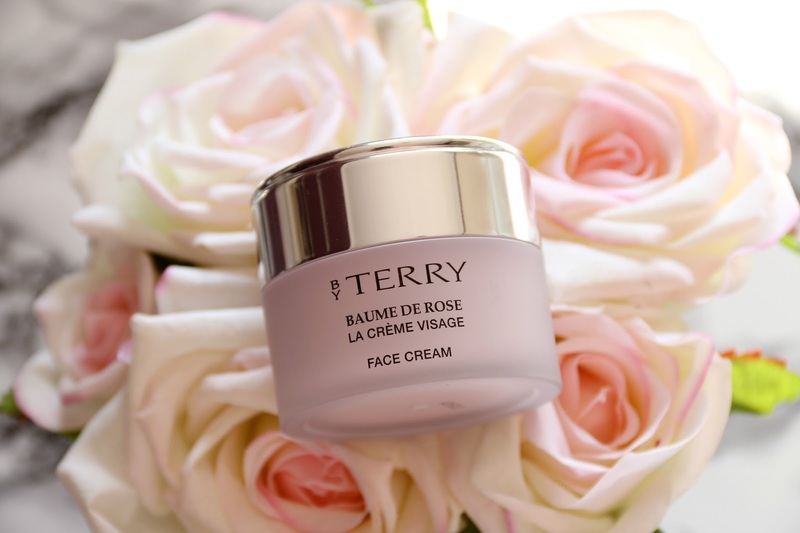 The product that I have fallen in love with from the new skincare line is the By Terry Baume de Rose Face Cream. In the same vein as the lip balm, the face cream has the most delicious rose scent that even a non-rose lover like me loves! The fragrance isn’t overpowering or artificial and it smells much more luxurious than any other rose scent I’ve found in skincare products which makes it a real treat to use. Aside from the scent, the first thing that I noticed about this moisturiser is the beautiful texture. It is a rich, luxurious cream but there is also a touch of a gel like texture to it which makes it so different to other face creams that I’ve tried in the past. When applied to the skin, it has the feel of a light balm which really nourishes the skin without overloading it. On makeup free days, I’ll apply this in the morning as the last step in my routine but generally, I’ll use it at night as I find that works best for my oily skin. The Baume de Rose Face Cream helps to preserve the hydroplipidic balance of the skin while nourishing, repairing and protecting it. I’ve always loved skincare products with rose in as they tend to be very calming which this one certainly is, and rose also helps to reduce redness, which makes this cream great for all skin types, even those with more fragile, sensitive skin. I cannot begin to tell you how luxurious this face cream is. When you’re having a day where your skin isn’t looking its best, then this is the perfect face cream to reach for to moisturise and repair your skin to its best and with continued use, it really does give you a gorgeous looking complexion. I went to an event makeup free after a couple of weeks of using this product and another blogger came up to me to compliment me on how lovely my skin looked without makeup which was so lovely of her. For such an intensely nourishing and hydrating face cream, I was surprised at how well it absorbs into the skin and I love that it doesn’t leave my skin feeling sticky, tacky or looking greasy. My complexion looks radiant, hydrated and naturally beautiful whenever I use it and the impact on my skin lasts. I couldn’t recommend this cream enough; a tiny little bit on the spatula accompanying it goes a long way but once I run out, I’ll certainly be repurchasing it. I’m so happy that By Terry Baume de Rose has blossomed into a skincare range and I can’t wait to try out more. Check out the whole line out at Space NK, Feel Unique, Net-A-Porter, Very Exclusive and Harrods. 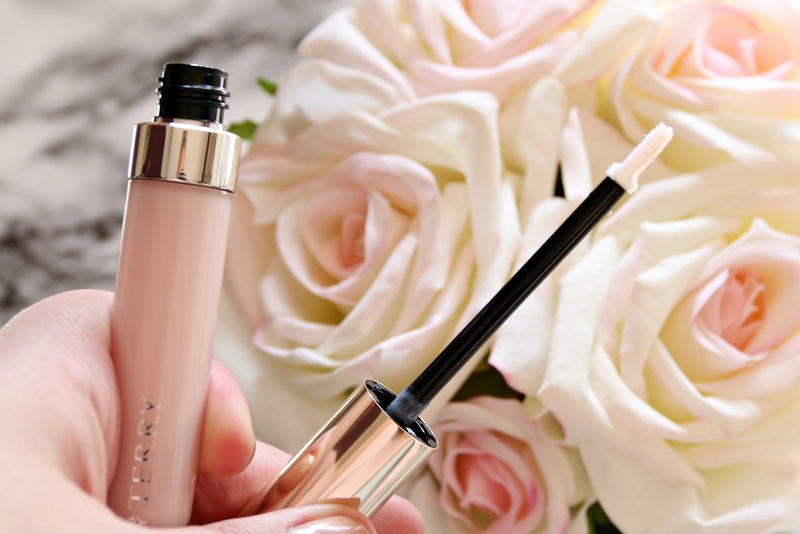 What do you think of the new By Terry Baume de Rose collection? Which product would you be most likely to try? Previous Post Why Your Clothing Label Size Doesn’t Matter, Loving Yourself & Feeling Body Confident Does! Ohh I have to admit I've not heard of this collection before but how amazing does it sound I definitely want to try the lip care product. I haven't heard of these before but I do quite like the sound of the Baume de Rose Crystalline my lips are very dry at the moment. To be honest I would love to try them all. It's always so hard to pick just one, or is it just me? I didn't hear about this brand before but I am always searching for different solutions to make my lips softer. I will definitely give this a try. That looks and sounds lovely! I love the packaging, it looks so pretty! Shockingly I've never tried the brand even though I know it's a cult favourite and I really should! I really really want to now! This collection is a new one to me. I would so love to try the lip balm. I'm such a sucker for them, especially in pink! Definitely need that lip balm right now! My lips are so dry! I love the small pot of face cream too, definitely perfect for travelling! I've got that lip balm but I haven't tried it yet. now I'm excited to try it! These products look so pretty, I'm on the search for a new face cream as well. Might have to try it out! The packaging on these products is gorgeous! I'd definitely love to try the lip balm.